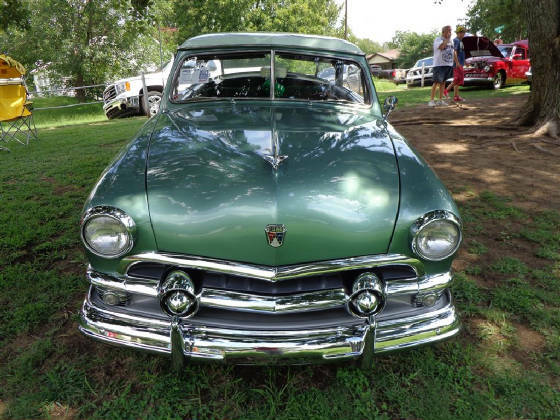 This month’s Great Oklahoma Classic is a classic 1951 Ford Victoria that belongs to H. Dwayne Head from Shawnee, Oklahoma. The Cimarron Starlite Cruisers met up with Dwayne at the Annual Helping Hands Car Show held each year in Prague Oklahoma. 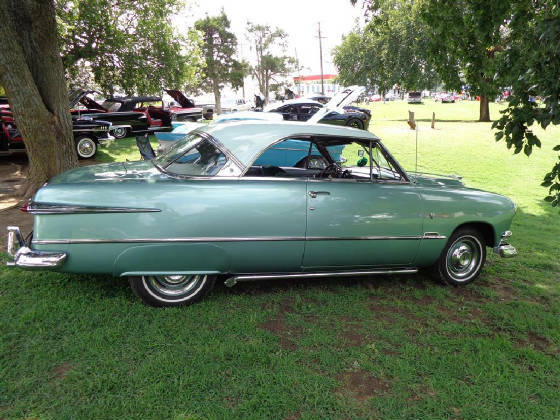 This Classic Ford Victoria will put you "In the Mood" for a cruise! Dwayne says this classic Victoria was originally from Idaho. 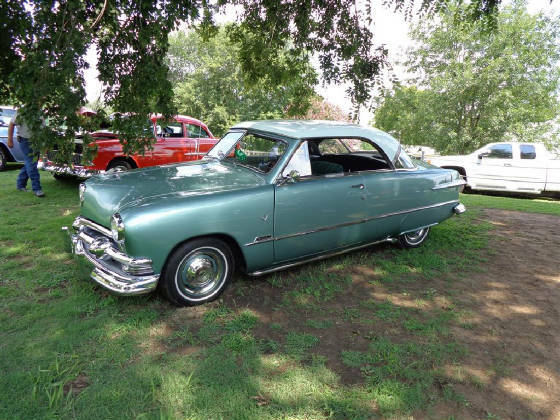 The old Ford has a completely rust free body which made for a great restoration. Notice the attractive painted to match stock finder skirts and a set of custom lake pipes. 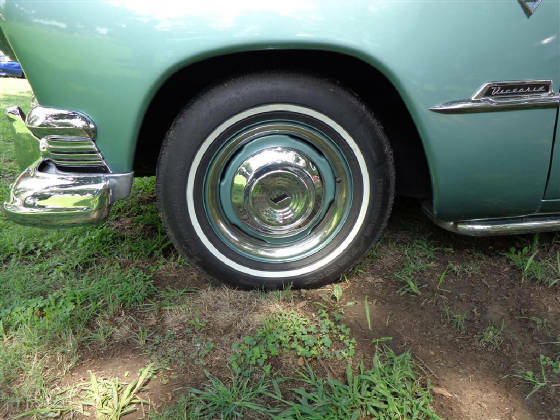 Dwayne had all the original chrome redone both front and rear to a better than new condition. He calls the eye catching paint ‘light green over a medium green’. The tail lights have been replaced with LEDs. A set of custom dual exhaust with stainless tips makes a classic 50's look. 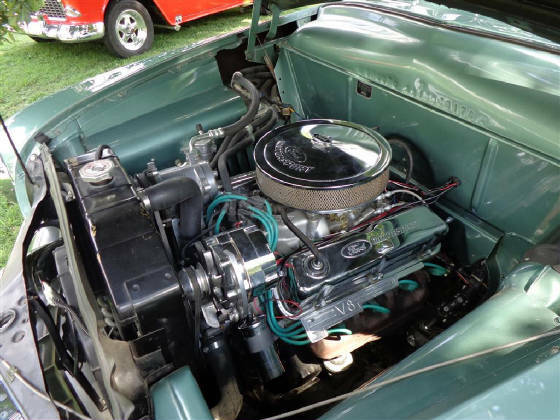 The Victoria is powered by a Ford 302 cubic inch V8 which is attached to a Ford C-4 automatic transmission. The 302 V8 has a late model Edlebrock 4 barrel carburetor and puts out 200 horsepower which allows the Victoria to move right down the road. The driveline is attached to a Ford eight inch rear end. 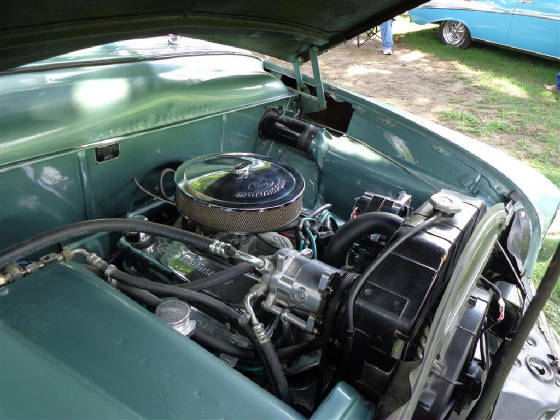 The Ford Motorsport chrome valve covers and air cleaner, as well as the chrome alternator, coil cover and polished air compressor really makes the engine bay an eye catcher. The engine is kept cool by large external electric fan. 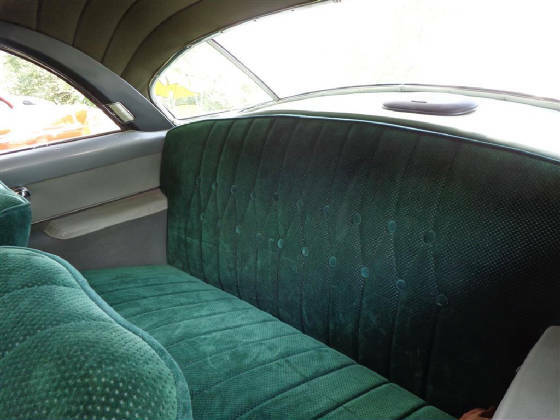 The beautiful interior has been upgraded with 60’s Thunderbird front and rear seats. The front seats are six-way power assisted. 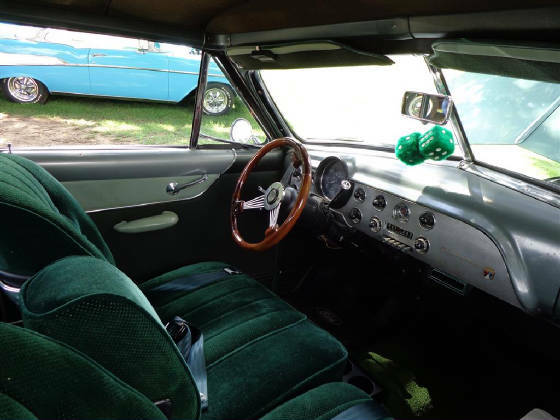 Dwayne added a Banjo Custom steering wheel to a Thunderbird tilt steering column. The stock looking dash has been upgraded with a complete Dakota gauge cluster and the stock radio has been converted to a modern FM stereo unit. And for those warm Oklahoma summers, a Vintage Air Conditioning System. The classic Ford rides on stock painted fifteen inch wheels with stock hubcaps and a set of Michelin Radial P205/75/R15 tires. The stock brakes have been converted to a set of four wheel power disc brakes for modern stopping power. 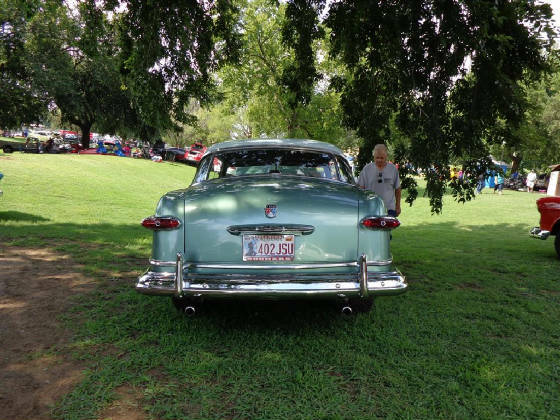 The Cimarron Starlite Cruisers sincerely appreciate H. Dwayne Head for sharing his classic 1951 Ford Victoria as our Great Oklahoma Classic for August 2013!